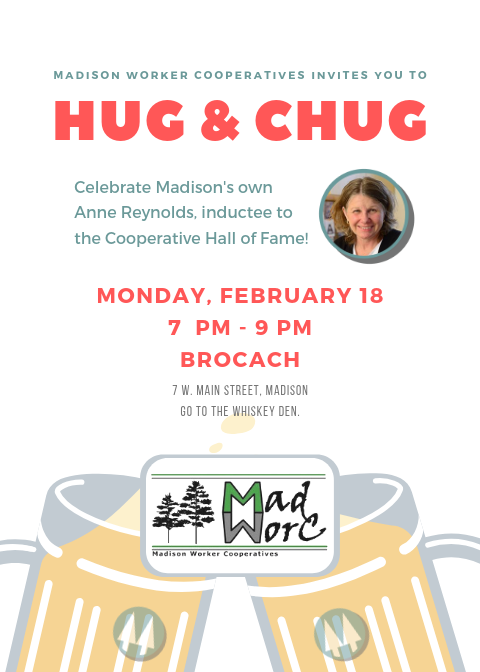 Please join us for a Hug & Chug to honor Anne Reynolds (inductee to the Coop Hall Of Fame)! Join Summit and over 20 other local cooperatives for the 6th annual Co-op Connection, celebrating cooperatives and community. Co-op Connection is a public celebration of cooperatives and all that we contribute to our communities and the local economy as well as an opportunity for us to live Cooperative Principle #6 – cooperation among cooperatives. Enjoy family activities, prize drawings, product samples and more! Worker co-ops—employee-owned companies operating on a one member, one vote basis—are scarce in the United States. Most tend to be in low-tech, labor-intensive businesses, such as food preparation or retailing. That should come as no surprise. How many investors or lenders would be eager to fund a co-op that required a lot of capital equipment? But before you conclude that American worker co-ops are limited to such businesses, consider the black swan that disproves the hypothesis. 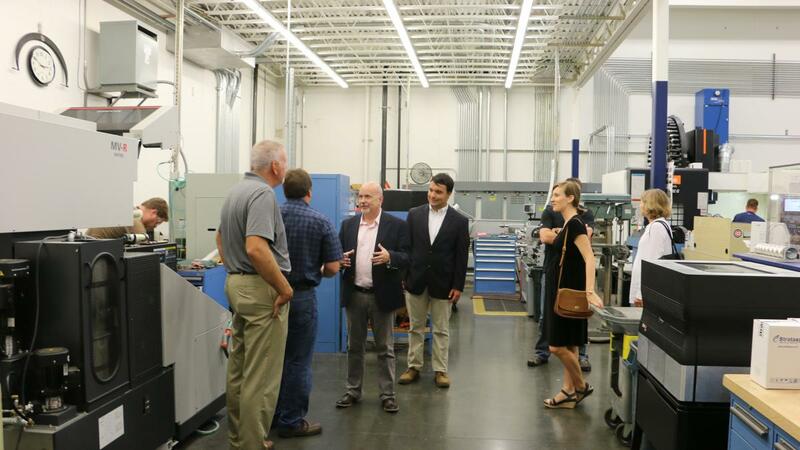 Isthmus Engineering and Manufacturing, based in Madison, Wisconsin, is owned entirely by its 32 employee-members. It regularly does more than $20 million in annual revenue, and it’s just coming off its third record year in a row. Its business is factory automation, which is to say that it builds custom machinery for producing everything from auto parts to baby pacifiers. Words can’t quite do justice to the complexity of IEM’s products, so here’s a promotional video that will give you an idea of what the company makes. IEM seems like an attractive model for any modest-sized high-tech enterprise staffed largely by engineers and skilled craftspeople. The co-op structure gives everyone a sizable stake in the business’s success. It encourages long-term thinking and, well, cooperation. It eliminates needless hierarchy—project teams pretty much manage themselves. “You don’t very often have people coming in and telling you how to do your job,” one IEM employee told researchers at the University of Wisconsin’s Center for Cooperatives. Here’s how the company works. Every members sits on the board of directors, which generally meets twice a month. “These meetings are where we make the majority of our administrative decisions,” says Ole Olson, an engineer—“who to hire, when to build a new building, etc.” Board committees handle matters like finance or shop tools and technologies; some of these committees “serve extremely important roles in the management of the business,” according to the Wisconsin study, which was conducted in 2011. A salaried general manager and sales manager, accountable to the board, are responsible for the company’s daily operation. “On a day-to-day basis, everyone here answers or reports to one of the managers,” Olson adds. One of the most refreshing things about IEM is in all the self regulation going on, never ever, ever, ever huge faux pas, unspoken rule…when we’re working on a team, out on a project, there is no member-employee separation. When that’s happened, when a member has tried to put that gold star on and say, “You gotta do it because I’m a member,” they have been slapped hard. Employees, on the other hand, that say “I’m just an employee,” get slapped equally hard. What about that financing issue? IEM started in 1980 as a partnership, so the four founders and other early partners were personally liable for borrowed money. In 1983 the group became a cooperative. Before too long, the business was sufficiently successful that it could fund much of its growth internally and attract bank financing when necessary—for a new building, say. IEM is committed to sustainability. When the company built its latest facility, it doubled the amount of insulation in the roof, installed high-efficiency lighting, and created a runoff pond to help with groundwater. It also began buying renewable-source energy from Madison Gas & Electric’s Green Power program for a couple of cents more per kilowatt-hour. The co-op structure necessarily involves some unusual challenges. It asks employees to take responsibility for running their own business, a responsibility that not everyone wants. People have to get along well enough to keep the democracy functioning—no small matter, as any veteran of participatory organizations can tell you. All that participation in management takes time and therefore costs money, though the costs may be offset by the absence of middle managers and supervisors. When a member leaves, the company has to buy back the member’s share. IEM does so over a five-year period, thus minimizing the cash drain in any one year. Whatever the challenges, IEM has been around now for 35 years. It is making money and growing in a business that would daunt many conventional entrepreneurs and investors. Third annual Hug ‘n’ Chug! The MadWorC “Hug & Chug & Learn” next week on December 11th will now be in the lower level “conference room” at the Glass Nickel Pizza at 2916 Atwood Avenue. This event is a social gathering of Madison Worker Cooperatives and is open to anyone interested in the movement. Please join us from 6 to 9 PM, Rebecca Kemble make a presentation at 7 PM about the Cooperative movements throughout the world and how we (Madison and the USA) can and will be involved. MadWorC will cover the cost of room rental, food and beverages will be available for purchase through Glass Nickel Pizza. Please forward this information to anyone that may be interested in the event.